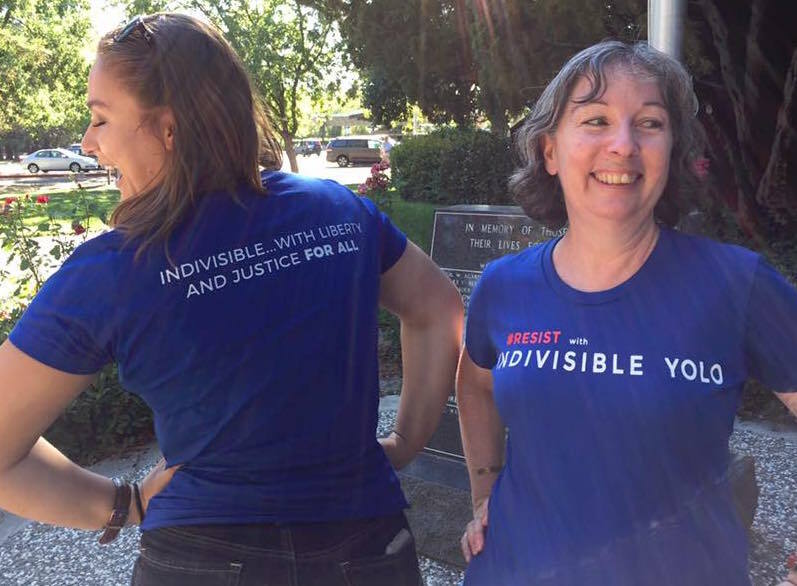 Message one friend and plan to meet at the next Indivisible event. Or invite a small group to form a huddle. For a sample agenda, go to the huddle page of the women’s march. Make it fun, social and part of your routine. Welcome any new faces with introductions. At initial meetings, share why you came. What means the most for you? Our actions are large, but our reasons personal. Take action at the gathering. Make calls together, make signs or write postcards. Snap a photo of your group in action and share on social media. Close by planning your next get together. After the election, Kelly wanted to find a way to help folks get engaged politically, and she wanted to make it easy. So she created Kelly’s action list. Every week, Kelly puts together a menu of political actions and hosts a drop-in political action group in her home. Friends, neighbors, and colleagues drop in and share conversation around Kelly’s kitchen table, writing a postcard or calling their representative on the issues that move them. Now several other groups have gotten in on the action and are using Kelly’s action list for inspiration for their own action-packed gatherings! 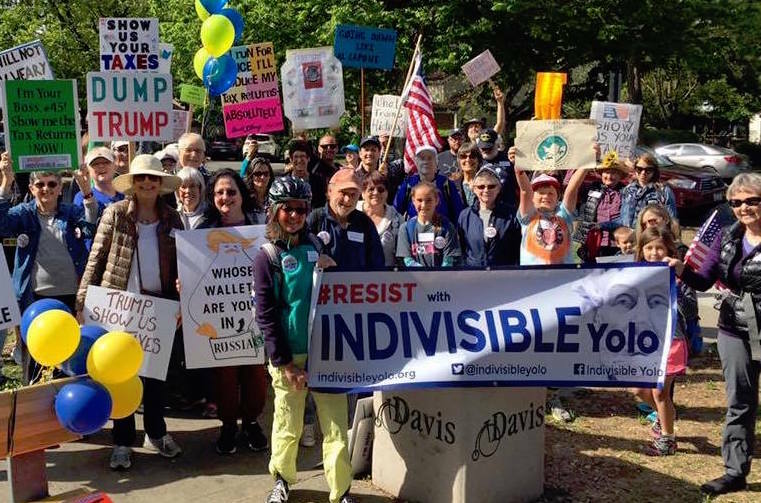 If you want to join Kelly’s group, would like to get her list to use in your group, or -best of all- would like to form a group and use her list, shoot us an email at indivisibleyolo@gmail.com and we’ll make sure you get added to the distribution list. Below is a sample of Kelly’s weekly action list, and a link to print hard copies. If you use it, take a pic of your group getting together, post it and tag us on social media! I believe in a government led by trustworthy representatives. 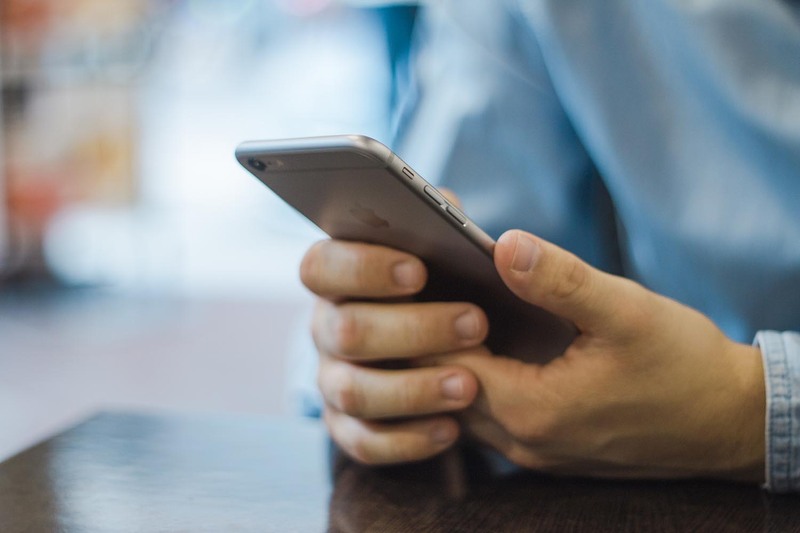 Background: So fast moving you may want to read stories on the home page of the New York Times and the Washington Post before picking up your phone. Trump has fired FBI director Jim Comey, the man in charge of the investigation into possible collusion between Russia and Trump associates. Our local representatives have all forcefully denounced Trump’s actions through public statements and media appearances. They are all calling for the appointment of an independent law enforcement investigator. Action 1: Thank our MoC (Members of Congress) but ask them to go further. Calls are needed, not postcards. Script: Please thank the senator/congressman for calling for an independent investigator to look into Russian interference in our elections and beyond. I’d like the senator/congressman to go further: commit to blocking any judicial and Department of Justice nominees until the investigation is moved out of Congress and into the hands of an independent, trustworthy investigator. Action 2: Call on all Republican members of the Senate Intelligence Committee to demand an independent investigation. (The Democrats already have!) Calls are needed, not postcards. Call: Richard Burr (NC-chair), 202-224-3154/828-350-2437; James Risch (ID) 202-224-2752/208-342-7985; Marco Rubio (FL) 202-224-3041/850-599-9100; Susan Collins (ME) 202-224-2523/207-780-3575; Roy Blunt (MO) 202-224-5721/816-471-7338; James Lankford (OK) 202-224-5754/405-231-4941; Tom Cotton (AR) 202-224-2353/501-223-9081; John Cornyn (TX) 202-224-2934/512-469-6034. Action 3: For good measure, make more phone calls! Ask all for an independent special prosecutor/investigator into Trump ties to Russia. Leave messages: Department of Justice comment line (202-353-1555) and White House comment line (202-456-1111; only available 9a-4p EST). Action: Write Sonny Perdue 1400 Independence Ave. SW, Washington, DC 20250. Script: As a parent [or tax-paying community member or nutritionist or health care professional], I oppose your plan to make school lunches less healthy. Your priority should be protecting the health of America’s youngest citizens, not the interests of corporate agriculture. I believe in open government. Action: Call or write Feinstein/Harris to ask them to highlight the lack of White House transparency. Script: I’m a constituent from ____________. I’m calling to request that the senator support and co-sign Senate Bill 953, the White House Visitor Logs Transparency Act of 2017. With so much in question about this administration, it is more important than ever that the American people know who is going in and out of the White House. I believe in a Constitutional right to free speech. Background: Veteran West Virginia journalist Dan Heyman was arrested in Charleston, West Virginia earlier this week for shouting a question at visiting Health and Human Services Secretary Tom Price. Heyman was asking whether domestic violence would be considered a pre-existing condition under the Republican bill to overhaul the nation’s health care system. The criminal complaint alleges that he was “causing a disturbance by yelling questions” (WaPo). 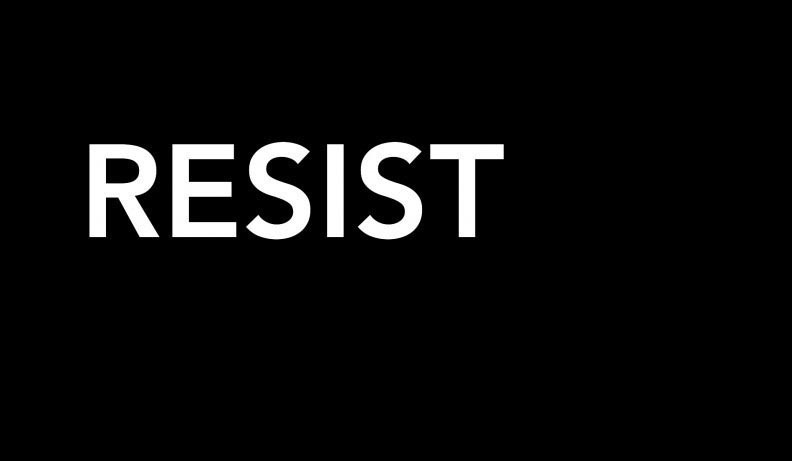 Action: Leave a message for Tom Price at 202-205-5445. Script: I am outraged that you have not spoken out against the arrest of a journalist during your visit to West Virginia. Dan Heyman was arrested for doing his job and I call on you to defend the Constitution by denouncing this unlawful police action. Script: I’m outraged to learn that your police officers would arrest a journalist for doing his job. I am donating to the ACLU in Dan Heyman’s name and I suggest your officers read the first amendment to the constitution. I believe in treating refugees with fairness and dignity. Background: Yolo County has just renewed its contract with the Office of Refugee Resettlement to provide beds for unaccompanied, undocumented minors held by the federal government. 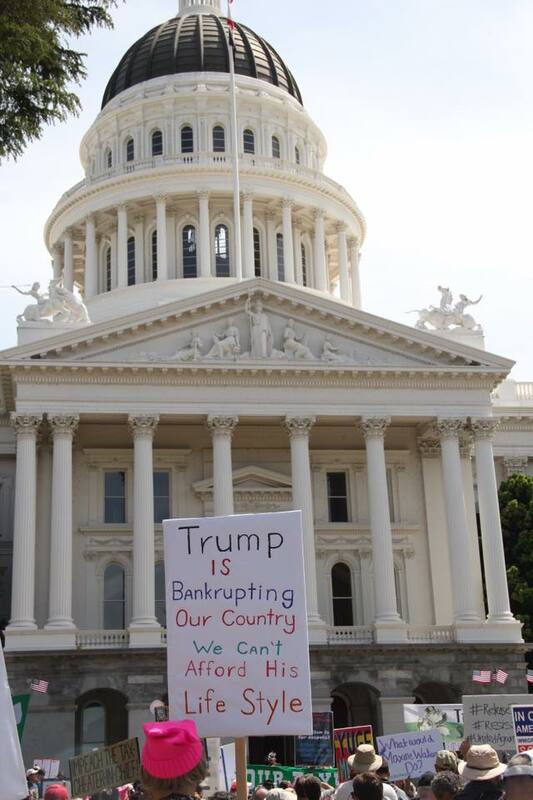 (For more information, see the Indivisible Yolo Facebook site https://www.facebook.com/indivisibleyolo/posts/1555468677831236 ). Action: Ask supervisors to create a volunteer committee of experts to ensure these vulnerable minors are treated the way we would want our own children to be treated. Call Supervisors: Don Saylor (530-757-5556), Jim Provenza (530-757-5554), Oscar Villegas (916-375-6440), Matt Rexroad (530-666-8621), Duane Chamberlain (530-666-8627). Or write at 625 Court St., Room 204, Woodland, CA 95695. Or email at clerkoftheboard@yolocounty.org. Script: I support the renewal of our county’s contract with the Office of Refugee Resettlement. I believe we must provide a safe place for these vulnerable children and teens to stay while they are waiting to be released. At the same time, I believe that the Board of Supervisors should create a committee of volunteer experts to ensure these minors are getting the care and the information they need. What is the supervisor’s position on creating a volunteer oversight committee? Thank the three Republican senators who broke with their party to uphold an Obama-era climate change regulation that controls the release of methane from oil and gas wells on public land (NYT). Praise them for standing up against their party to vote in favor of common sense environmental regulations.